Prek Pnov is located in northern Phnom Penh. The Prek Pnov Bridge was the second bridge to span the Tonle Sap River from Phnom Penh and links National Road No. 5 to Road No. 6A. 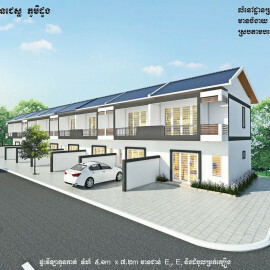 Prek Pnov is a prime area for cost-effective industrial development on the outskirts of Phnom Penh, and the standard of residential property offerings are increasing by the day. Borey communities are also increasingly available in Prek Pnov, as are the range of entertainment and dining options. A property in Prek Pnov is a great choice for business or an affordable home. Do you fancy a luxury villa, or maybe just a townhouse? New industrial space for a growing business? Realestate.com.kh has them all here, ready for you to view. Check out some great resources on Realestate.com.kh in our Location Profiles and Investor Guides: Learn more about Cambodia, Phnom Penh, Siem Reap & Sihanoukville. Learn more about Investing in Cambodia, Foreign Ownership in Cambodia & the Cambodian Expat Experience!